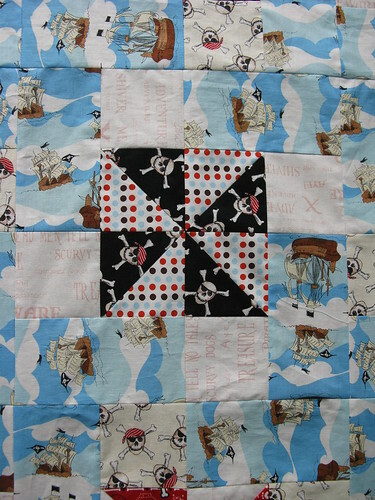 Tim's Pirate Quilt is finished at last....it's taken me a while but I'm really pleased with it. 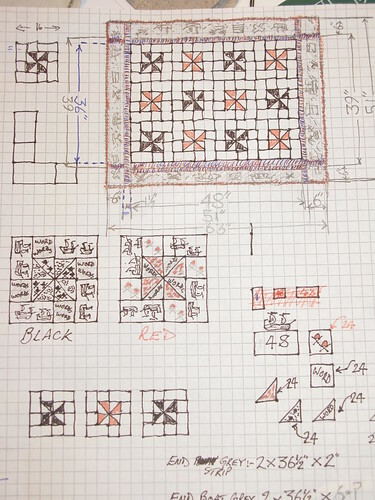 We started with Tim's sketch based on the Cowboy Baby Quilt in the Material Obsession book. 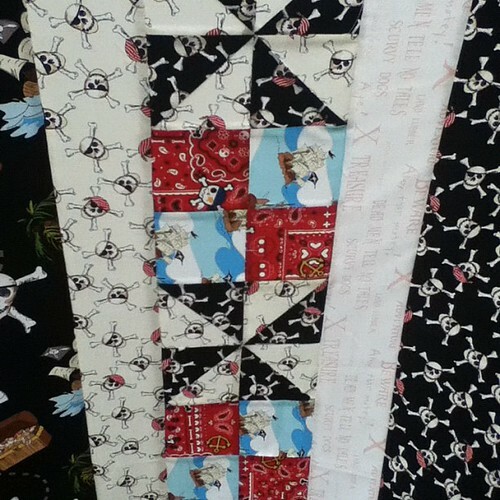 I had to scale up the block size due to the size of the ships and skulls on the Emily Taylor Pirate fabric from Riley Blake. The only thing I didn't like about this fabric was that the two creams from the collection were different colours. The red is a Japanese print from FabricWorm and some precious Heather Ross dots/canon balls. 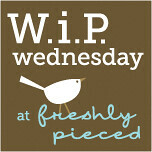 Looking back in my Flickr photos I can see that I finished the top back in January! 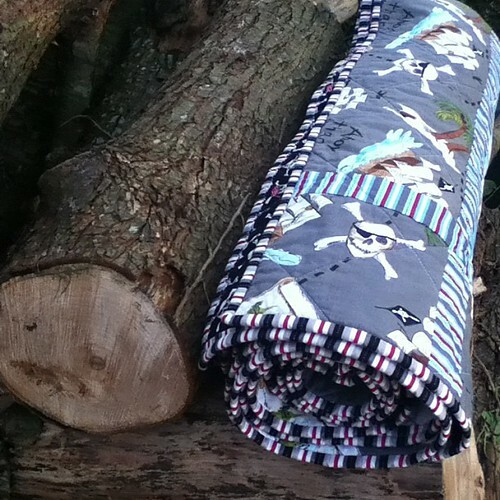 I couldn't decide how to quilt it, as Tim would have liked some skulls or waves, but I just couldn't see it. In the end I quilted straight lines, 4.2426" apart, to make squares! 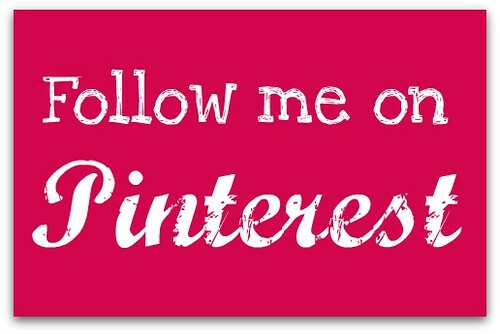 and in time for the Fall Blogger's Quilt Festival over with Amy. You've done a great job! Isn't it amazing how the quilting often slows us down? Well done for getting it finished, it's horrible when you don't know what to do for the next step. It looks stunning I'm sure it will be well loved! It's always the quilting that slows me down...oh and getting the batting out here. It's a great finish - you must be so happy! Very cool! 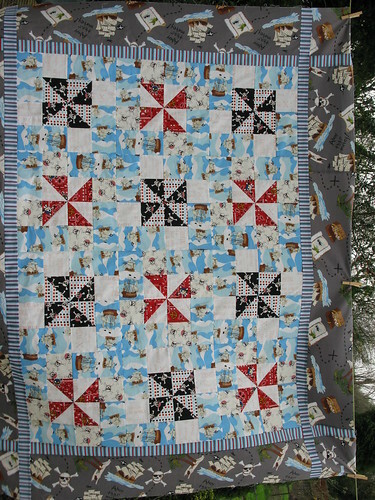 I used that fabric for a quilt for my nephew but I only had a layer cake and a charm pack. I love how you've used yardage for such big impact - love it! Aww that's sooooo good. So what is next ? More fabric ? This is awesome! 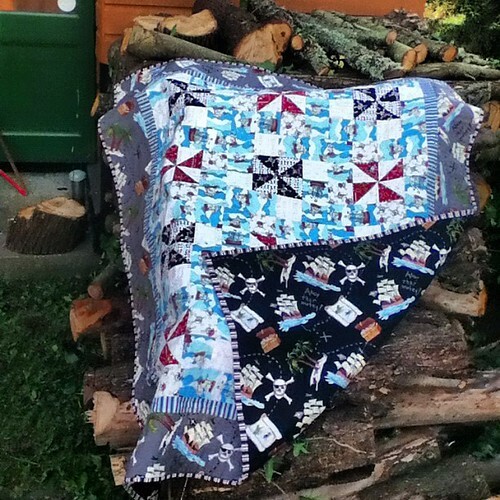 Now I want to put some pinwheels in my pirate quilt too!